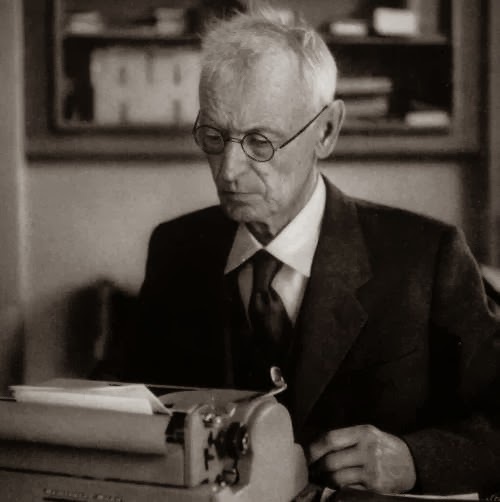 I'm absolutely hopeless at translating German to English, so whether or not the last paragraph of Ernst Martin's eight-page entry on Karl Drais (see previous post) refers to Hermann Hesse I cannot be sure. Maybe it's just my imagination running away with me (I'd like to think it does - mention Hesse, that is). 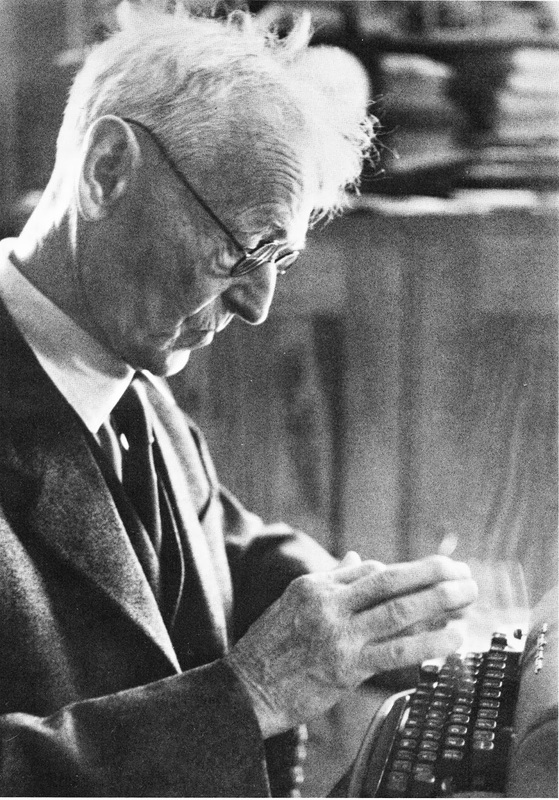 This led me, in turn, to the ever-reliable Georg Sommeregger, who knows a thing or two about Basel and, as it turns out, also about Hesse's typewriter (see). 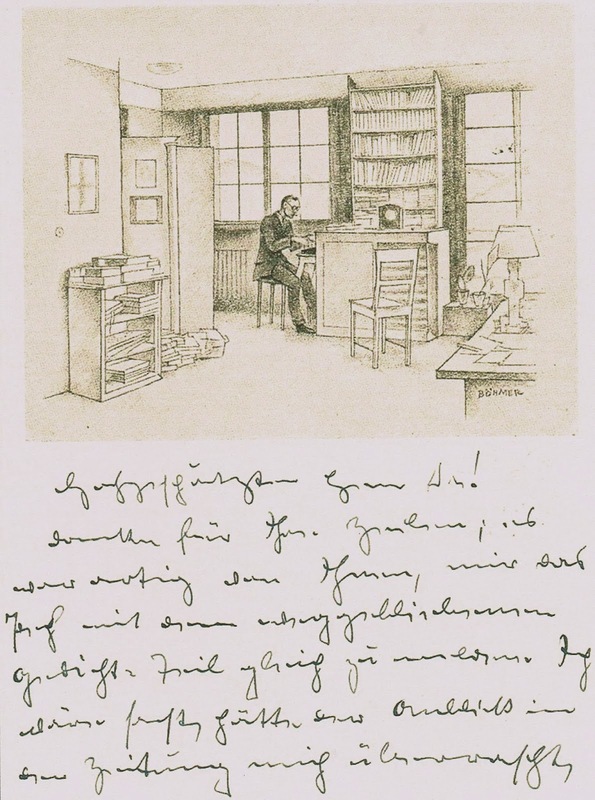 To my considerable relief, clever Georg was able to tell me this: "The typewriter was bought in early 1908 at the company Klingler, with the famous italics ... On this machine Hesse wrote tens of thousands of letters, as well as nearly all his manuscripts ..."
If this sketch of Hesse at his Smith Premier (which he apparently continued to use until 1942) is by Heinrich Böhmer, it would have to have been drawn before 1930, the year Böhmer died, aged 78. 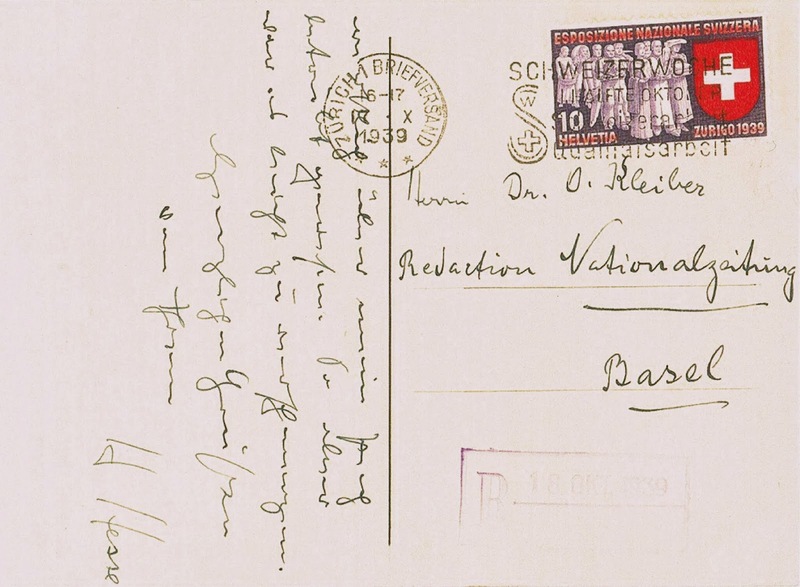 The postcard is postmarked Zurich, October 17, 1939. Hermann Langbein (1912-1995 ) was an Austrian communist resistance fighter. 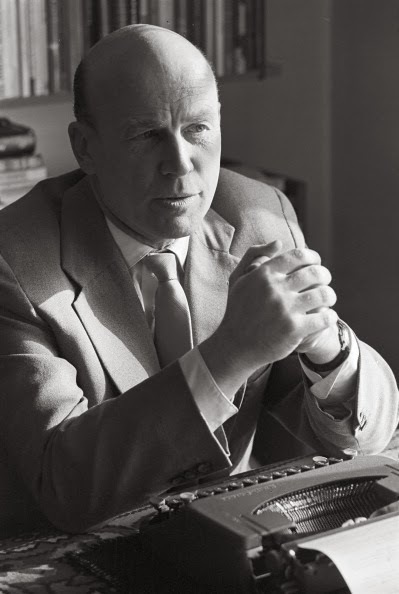 The former concentration camp inmate in 1954 co-founded the International Auschwitz Committee. 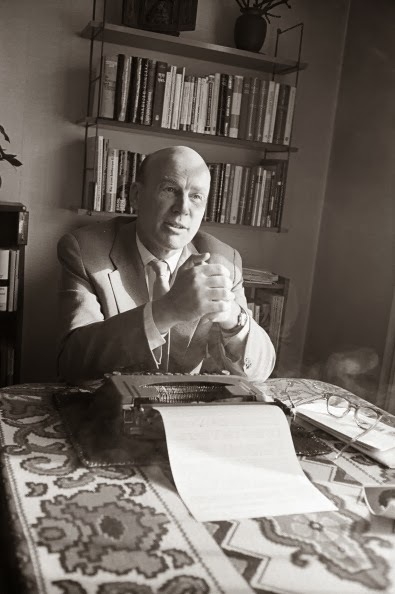 He joined the Communist Party in 1933, escaped after the Anschluss of Austria from the so-called "Greater German Reich" and then fought in the Spanish Civil War in the International Brigades against the establishment of a dictatorship under Franco. He fled to France in 1939 but after the occupation was shipped to Germany in 1941 and taken to the Dachau concentration camp. He was transferred to the concentration camp Auschwitz I (main camp) in August 1942. In August 1944, Langbein was transferred to the Neuengamme concentration camp. On the evacuation transport to Fallersleben east of Hanover in mid-April 1945, he jumped from the train and fled by bicycle to Austria, where he arrived in his hometown of Vienna in May. 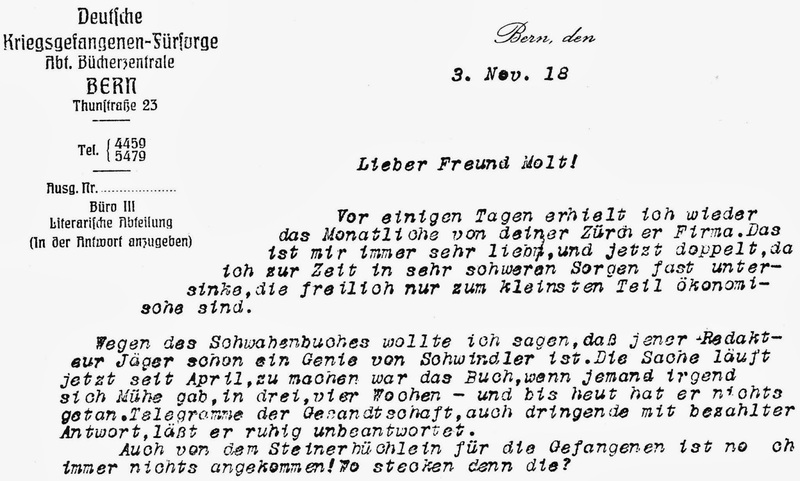 From 1955 to the early 1960s, Langbein was secretary of the Austrian Camp Community Auschwitz and fought for compensation for former concentration camp prisoners. He was ejected by the Communist Party in 1958 after criticising Stalinism in the wake of the Budapest uprising of 1956. Isn't that a Smith Corona Skyriter? I don't think so, my Skyriter doesn't have stripes like that. 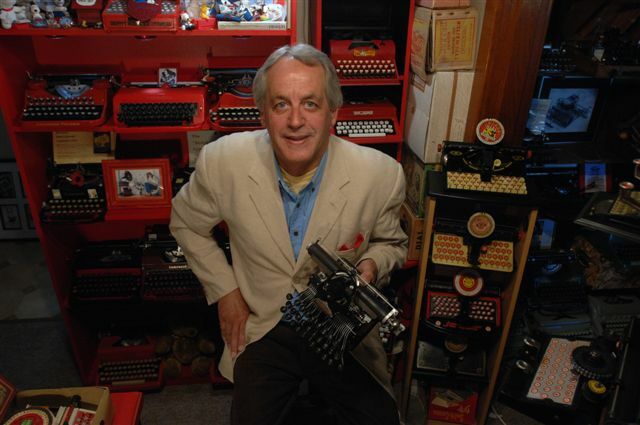 Langbein's typewriter does look like a Smith-Corona, with those stripes and the logo on the ribbon cover. The Hesse photos are wonderful. It's fascinating to think of someone using a Smith Premier all the way into the 1940s.